Are you looking to immerse yourself into the local history and culture?  The Greater Cadillac Area has seven museums available to you throughout the summer, all located within 30 minutes of Cadillac. Spend some time traveling to each location and experience not only the museums, but the cities that they reside in and truly embrace the roots of our area. Start your exploration off right in Cadillac at the Wexford County Historical Society Museum (WCHS); formerly known as Cadillac’s Carnegie Public Library. 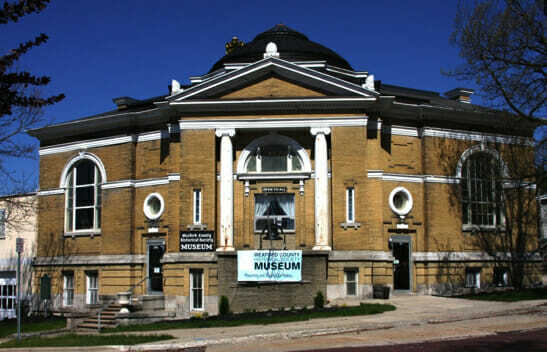 This museum contains artifacts, photographs, maps, paintings, documents and exhibits of daily life in northern Michigan dating back to the beginning in the 1870’s that will be sure to transport you back in time in our community. 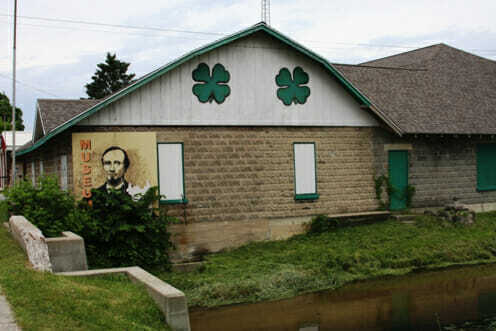 Some of the exhibits include a barber shop, school room, and main street stores. Before you leave Cadillac, make sure to stop into the Wexford Genealogy Association to uncover family ancestry and lineage in the area. Here they promote the education of ethical genealogical practices from the available resources in the area and take pride in the benefits of genealogy, family history and the importance of record preservation. With Wexford County Probate books dating back to 1867, Cemetery records, City Directories, and much more you are sure to learn something new. 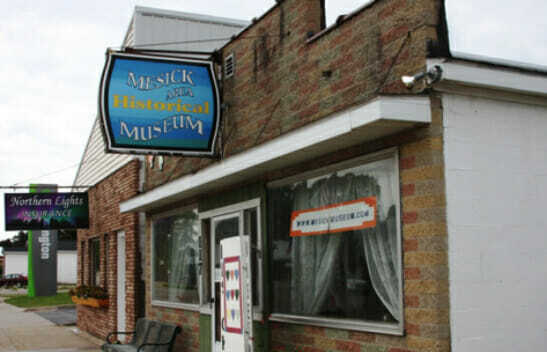 Take a nice drive up to Mesick to check out the Mesick Area Historical Museum, whose mission is to collect and preserve an accurate record of the past and inform the public about the colorful history of the Mesick area. Located in the heart of Mesick, you can take a step back in time right in the middle of the modern day area to relive past Mesick State Championships, admire paintings of the past city, and much more memorabilia from the earlier times. Head over to Manton where you can see both the Manton Area Historical Museum and the Manton Veterans Memorial Museum conveniently located right beside each other downtown. The Manton Area Historical Museum has an array of exhibits that will take you back, as if you were walking through old-time Manton. Here they trace the history of the town from the logging industry through electrification. Some highlights of the artifacts include the first diesel powered generator in Manton and the ornate horse drawn hearse that both serve as focal points. 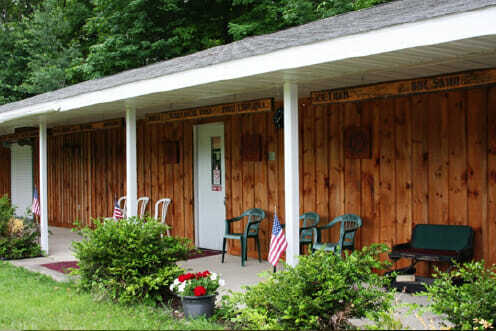 The Manton Veterans Memorial Museum is filled wall-to-wall military gear and over 300 photos of men and women in uniform that adorn the walls. You will not believe the artifacts on display, from a foot locker from the revolutionary war, uniforms, weapons, ships lantern, a wheelchair, and even a World War II-era Jeep, you are sure to learn a lot about history and our local veterans. 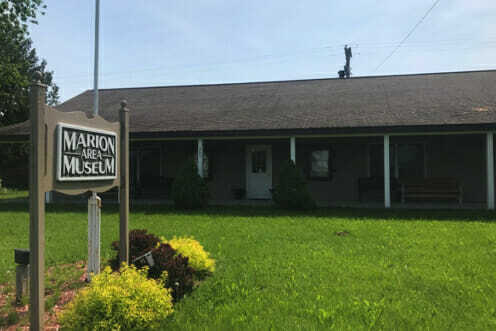 At the Marion Area Historical Museum you will be visiting the history and heritage of the lumbering boomtown era of Marion. As you walk around viewing the artifacts, they will allow you to visualize how our ancestors dressed, were educated and the real effort it must have taken to make for a satisfying life. Some of the exhibits include ‘The Cutter,’ a sleigh like transportation device from the mid 1920’s used to deliver mail in the area in the midst of frigid winter weather, ‘The Cabin’ located on the grounds of the museum which is a true example of the early way of life in this area, and ‘The Barn’ which displays tools used in building and farming in the earlier times. 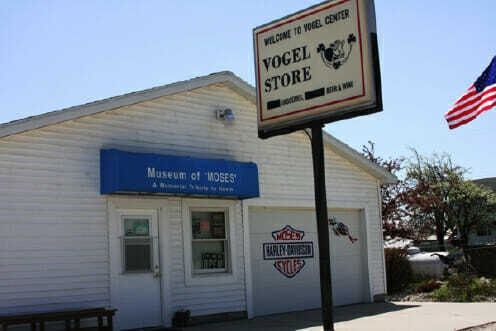 Don’t forget to head down to McBain to end your journey at the Museum of Moses at Vogel Center. In honor of Kevin Eugene Moses, this unique museum is dedicated to the ultimate Harley Davidson motorcycle collector who passed in 2010 from head and neck cancer at the age of 55. The museum currently hosts nine Harleys dating from 1936 to 1988, a Goulding Rocket Sidecar, an original 1956 Cadillac and much more! If you are a motorcycle fan at all, you will have plenty to check out with this exhibit of various motorcycles and collectibles.